American Dream Program (ADP) Scholar and Skidmore College freshman, Andrea (Dea) Sumrall, named HSVS’ 2015 Youth of the Year for her perseverance and service, now sees her work pay off with the creation of the HSVS Foster Care Quick Start Guide. In her application essay for Youth of the Year, Andrea shared her thoughts, “Youth in [foster] care need a sense of belonging to integrate the various parts of themselves: who they were before care, who they are in care, and who they will be when they age out [of care]. To achieve this, the [foster care] agency must provide services specific to each stage.” She has been most emphatic about the beginning stages of the experience. Dea suggested that more resources for kids be provided when they enter care, because, as she explained, this transition is often a daunting and confusing time in their lives. 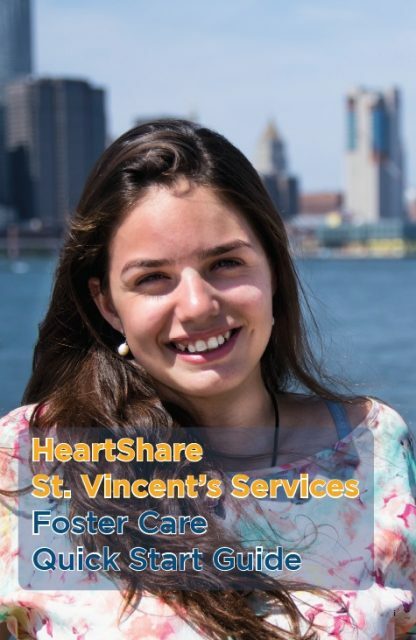 The Foster Care Quick Start Guide will be part of a Welcome Package that each child receives upon entering foster care at HeartShare St. Vincent’s Services. The guide offers tips on navigating HSVS programs and resources, as well as how a young person in care can reach key people, like their case planner or attorney. 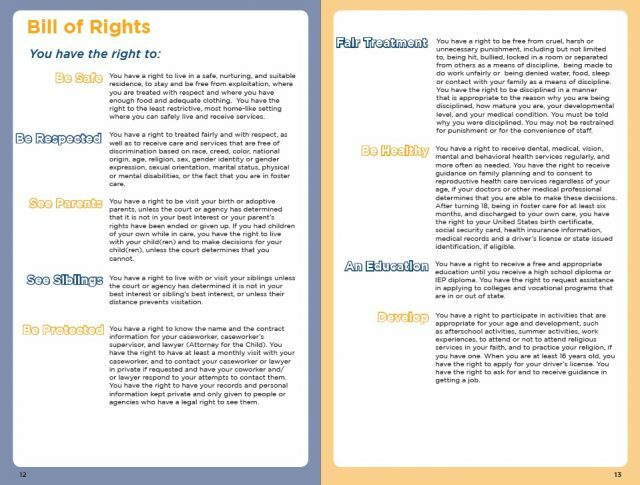 An included Bill of Rights ensures that kids understand how valuable they are and that is it their right to be treated fairly and with respect, to be given an education, to see their parents and siblings if they wish, and to be healthy and safe throughout their days in foster care. A portion of the booklet is intended to inspire. It spotlights successful people who grew up in the foster care system like the late Apple founder and CEO Steve Jobs, actor Ice-T and Olympian Simone Arianne Biles. This section also highlights the stories of young people thriving at HSVS, like Dea. The HSVS Foster Care Quick Start Guide offers young men and women tips on how to navigate the complexities of the foster care system and reminds them that no matter what, they have inherent rights. The implementation of Dea’s vision is a strong example of how HeartShare St. Vincent’s Services truly listens to the youth in its care. To learn more about Youth Development, the Department that closely supports older youth, visit https://hsvsnyc.org/our-divisions/youth-development-community-programs/.